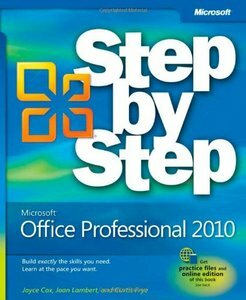 Teach yourself exactly what you need to know about using Office Professional 2010-one step at a time! With STEP BY STEP, you build and practice new skills hands-on, at your own pace. Covering Microsoft Word, PowerPoint, Outlook, Excel, Access, Publisher, and OneNote.